School clock | That Belongs in a Museum! 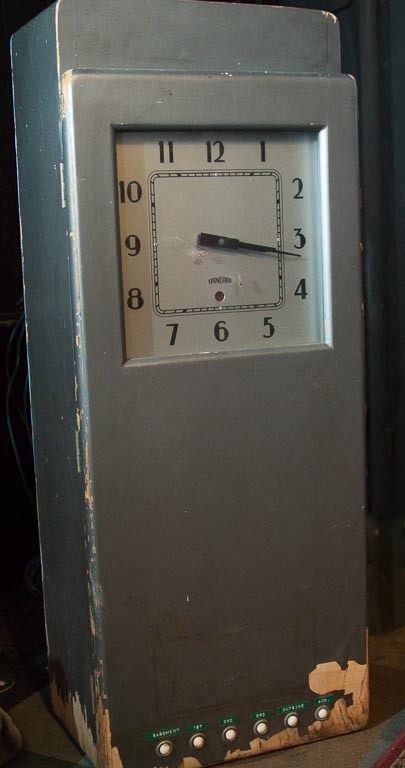 This clock is the main clock and time keeping mechanism for a primary school that was somewhere in the Chicago area…and it dates from the 1940s I think. …There are several buttons marked with embossed labeling tape, and they are marked, “basement”, “1st”, “2nd”, “3rd”, “outside” and “aud” for auditorium. So these are the buttons that would ring the school bells at these various locations. 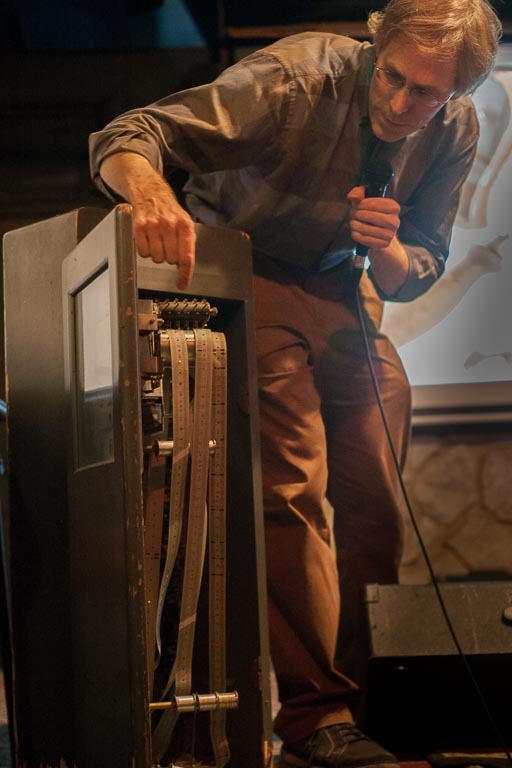 …So I knew that there had to be an automatic way for the bells to ring [in addition to the manual buttons]…[Eric opens the clock]…these are paper ribbons…function kind of like a computer punch card…which ring a bell at an appropriate time. I was thinking in terms of school clocks today which I think are just run by computers…but if anyone ever wanted to tamper with this school’s timekeeping system for whatever reason, there would be only one place they could go–this clock.